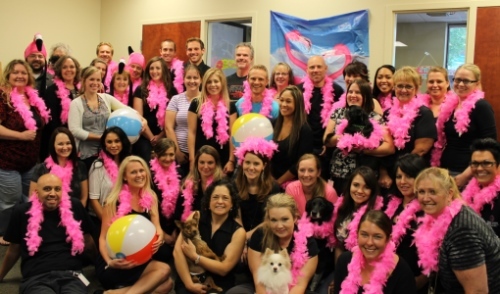 Pets Best Makes List of "Best Places to Work in Idaho"
Pets Best Insurance Services, LLC, a leading U.S. pet-health insurance agency, announced today it has been named one of the Best Places to Work in Idaho for the third consecutive year. Along with a select group of other businesses, Pets Best has received 2015 recognition for the excellence of its workplace from the Best Places to Work in Idaho Program. The program is a collaboration between the Idaho Business Review and POPULUS, an Idaho-based marketing and HR research organization. The annual ranking employs confidential surveys administered to employees at companies around Idaho. It measures employee happiness using metrics such as performance in compensation and benefits, employee growth and development, work-life balance, workplace environment and company management. The highest levels of employee satisfaction translate directly to the best places to work. Patricia Tsunoda is a claims processor at Pets Best. She enjoys coming to work every day, she explains, because of the people she’s surrounded by: From upper management down to the newest employee, she enjoys everyone she works with. Employees are encouraged to participate in extracurricular activities such as the Pets Best bowling league, softball team, company appreciation picnics and many dress-up theme days. A sense of fun is encouraged in both work and play. Pets Best also places emphasis on the importance of interacting with the community. The company contributes to local community events including See Spot Walk, an annual 1-mile walk through Julia Davis Park in support of the Idaho Humane Society, as well as the Festival of Trees. During the holiday season, Pets Best hosts a Dog Paws & Santa Claus photo shoot to raise money for the Idaho Humane Society. Amanda Allen, a customer care representative for Pets Best, says she enjoys seeing the wagging tails that greet her each morning as she comes through the door. With nearly fifteen office dog regulars, Pets Best feels more like a big family than an insurance agency. This coming September, the agency will celebrate its 10th year in business.